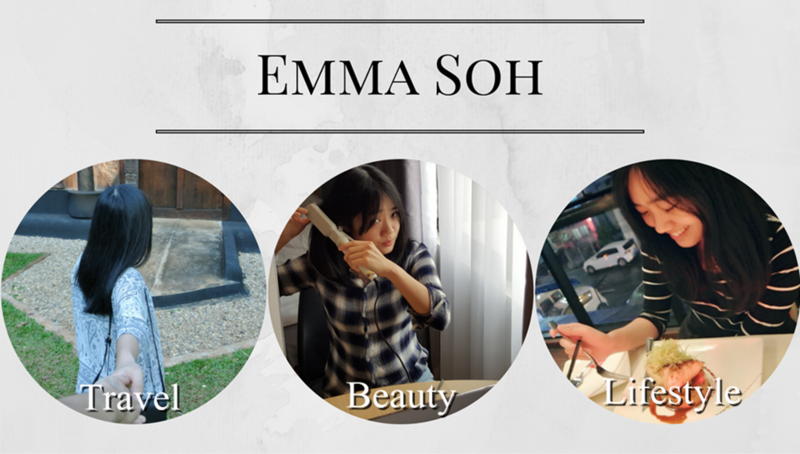 Emma Soh: The 10-Step Korean Skincare Routine, Does It Work? 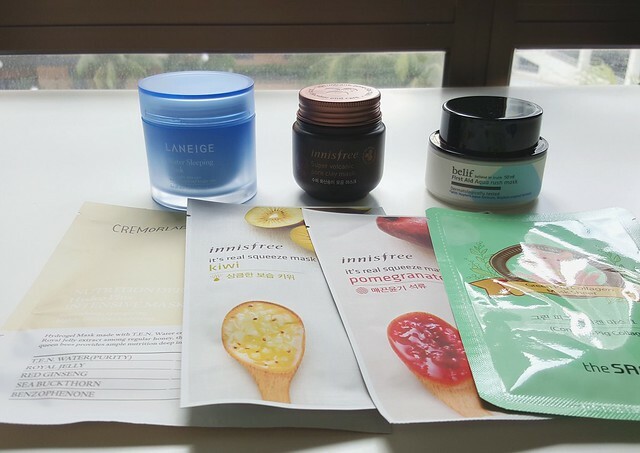 I've been incorporating 10-12 steps Korean skincare routine for a while now, about 1-2 months. As a beauty blogger, my skincare routine was about 7-8 steps. I slowly added extra steps into my daily skincare routine and it's now 12 steps. 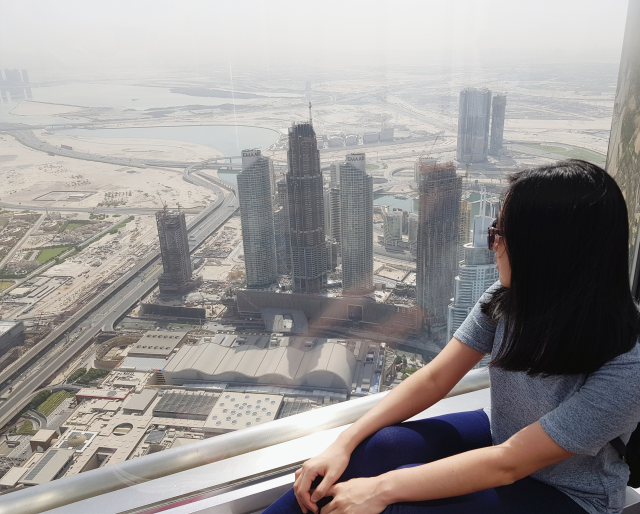 At first I was intimidated by so many steps but after I learnt that 12 steps routine includes weekly exfoliation and masks, it's actually not as many steps on the daily basis. The concept is simple, apply the products from the lightest to heaviest. 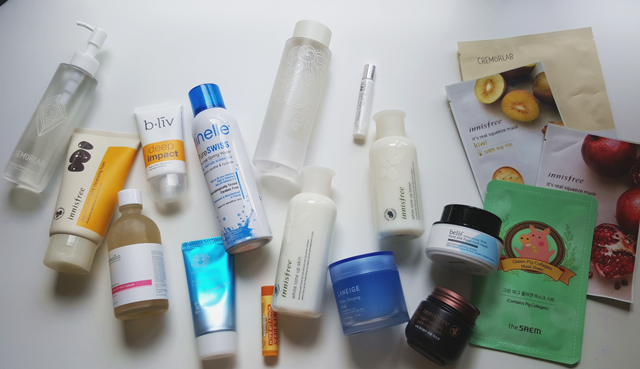 So depending on your skincare products, your routine might be a little different from mine. 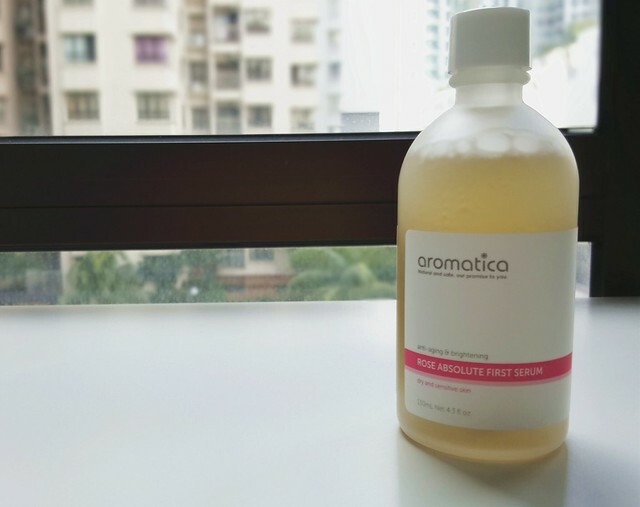 I have been doing double cleansing for years now, even on the days when I'm not wearing makeup. 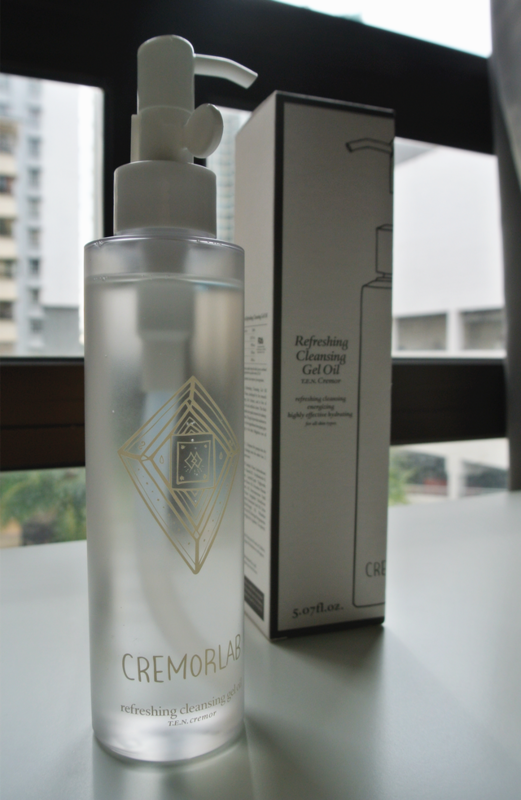 Korean cleansing balms are very popular but I find that oil cleanser works the best for me. 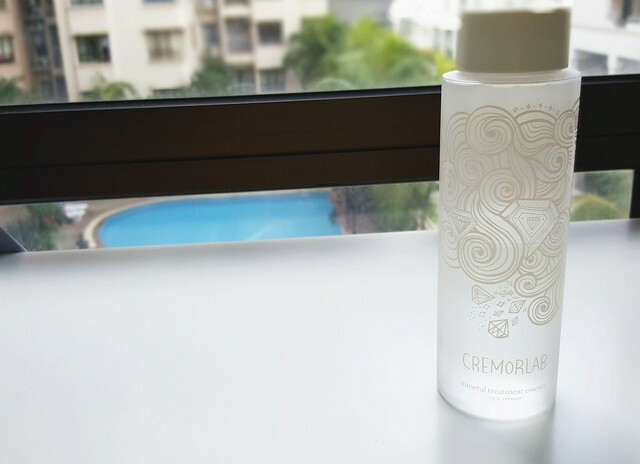 This Cremorlab cleansing gel oil is quite gentle on my skin and it doesn't irritates my eyes, some cleansing oils get very irritating on my eyes. I've heard about the good rating of cleansing foam of this cleansing foam. My verdict? 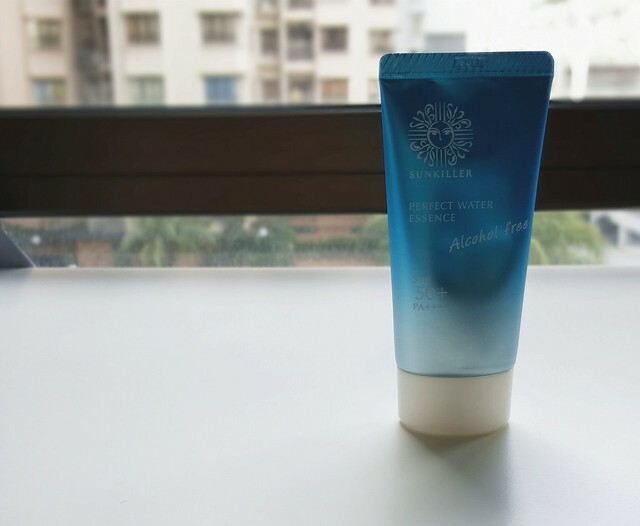 It's cheap, and good in cleansing the dirts and impurities from the skin. 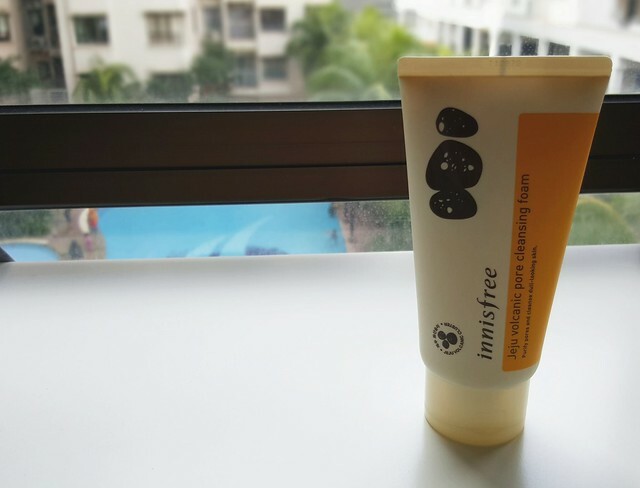 The cleansing foam has tiny beads acts as a gentle cleansing agent for the skin. Once or twice a week routine, you may read my full review here. A product called 5-sec mist inspired me to do this, an instant hydration after cleansing. I'll spray on my face some time in the afternoon too. I've just finished this bottle and changed to Bio Essence Miracle Bio Water and I prefer the Bio Essence one. 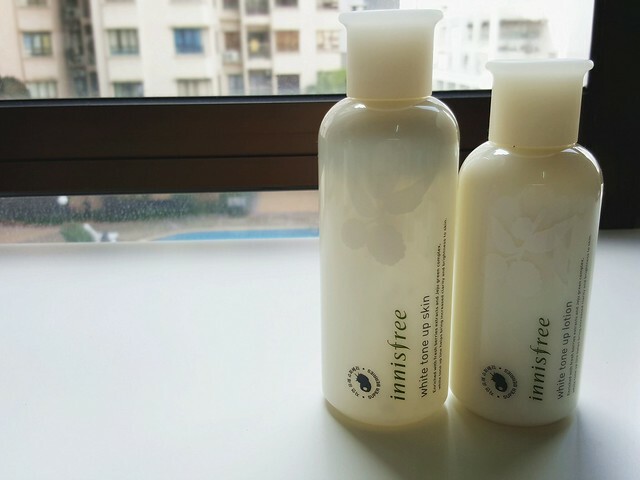 This "White Tone Up" range is good, very light and suitable for humid weather in Malaysia. I'll prefer to use this kind of texture in the morning. Personally prefer to use a more moisturizing range during night time. This is an extra step that I added into my skincare routine, water essence. Honestly I don't see much difference on my skin or feel anything but I didn't know if there's any changes happen underneath my skin. Maybe it does. Essence works as the preparation for the skin and allow better absorption for the products later. I think serum does the wonder to my skin! My beautician told me my face looks so much moisturizing (with no dry and flaky skin) after I used this for a while. This is the last product I added to my skincare. Other than serum, I think regular mask application is potent to the multi-layer skincare routine too. I swap with different type of masks based on my skin condition and mood, and yes, when I'm more hardworking on applying facial mask, my skin is more flawless compared to when I'm not. 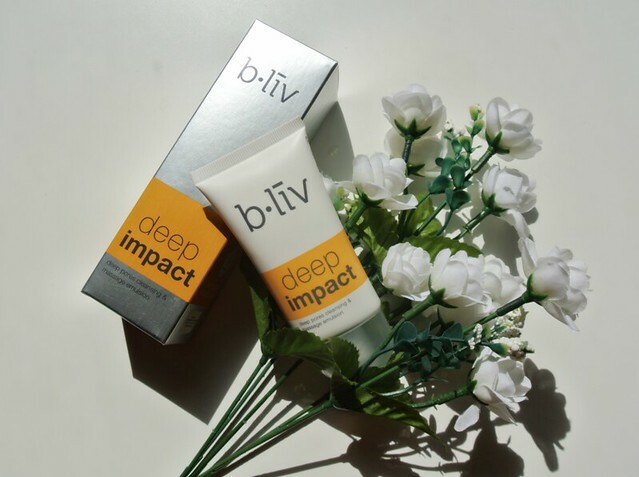 Less acne, less blackheads/ whiteheads and more moisturizing, pores are less visible too! Prevention is better than cure, I apply eye cream from time to time but more regularly now. 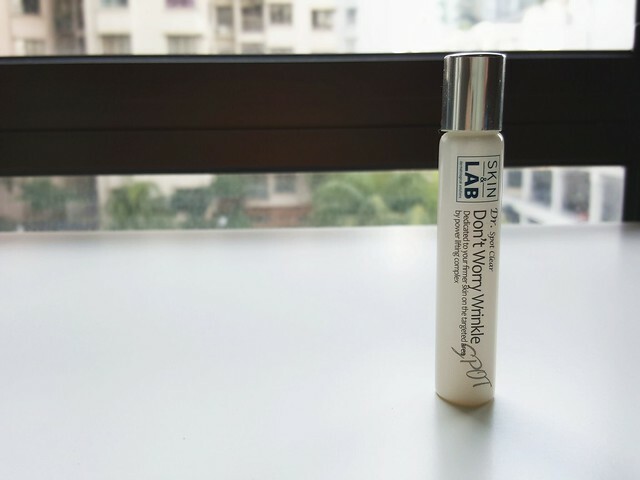 This "Don't Worry Wrinkle" eye serum from skin & lab has a roller for eye massage in it but I dislike the roller. It feels a bit rough at the edge. The serum is light too so it's only suitable for younger age group user. Same verdict as the toner above. 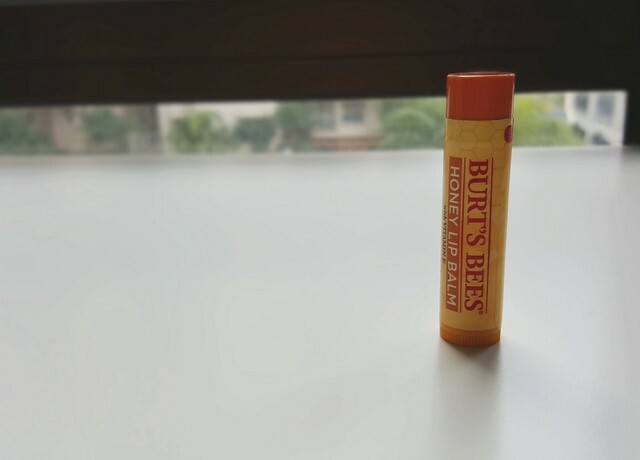 Since I'm getting more hardworking and having longer skincare routine, why not complete the routine with lip balm? But I'm not applying it every night because I dislike its scent. The scent is consider heavy to my taste and I rather feel uncomfortable smelling it while sleeping. I have been using sun protection for years now, it's a must in my morning skin care routine and I'll reapply most of the days. Usually I'll only pick the sunscreen with full protection (SPF 50+ PA++++). This product is water base, light and not sticky at all. Skincare routine is very personal, after experimenting the 12-step skincare routine, my skin is a little more moisturized and less acne or blackheads. I think serum/facial oil and masks are the two steps that give extra glows and moisture to my skin and the other steps are just basic care and protection. I'll suggest to add 1 step at a time and observe how your skin reacts to it, with this method you'd know if the product suitable for you.